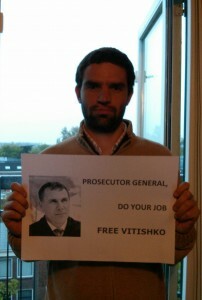 On August 1, Evgeny Vitishko went on hunger strike. He protested his placement in a penal isolator on July 31, based on allegations that he improperly stored his food in a bag. This type of storage is a common practice in a colony since there are no other opportunities to do otherwise. After his release from a penal isolator on August 3, Evgeny continued the strike but had to stop it on August 6 due to threats by colony administration. 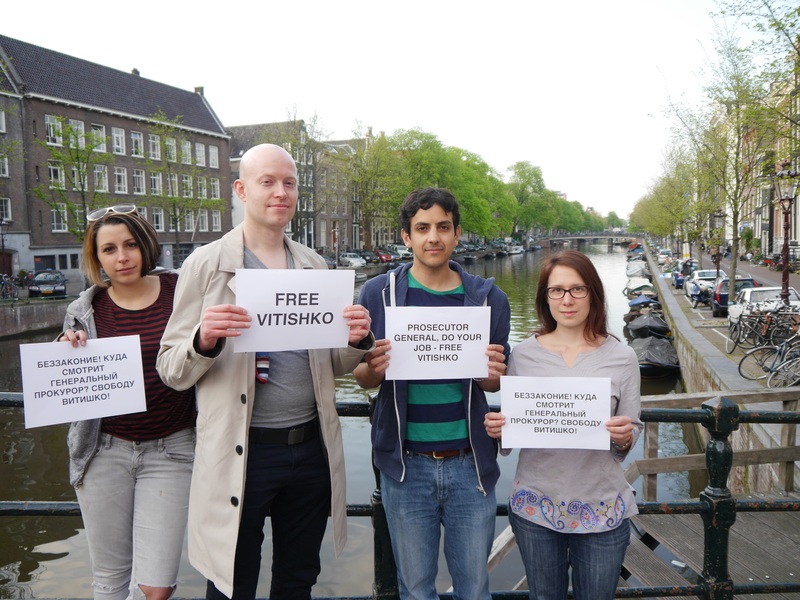 Administration forces other inmates petitioning against Vitishko. Evgeny promised to go on another hunger strike in case he is placed in a penal isolator again. He sais, this is his only way to protest unfairness. In the five months that Evgeny Vitishko has been in prison, he had faced increasing pressure from his colony’s administration. Particularly after Evgeny exposed a massive beating in the colony in May, authorities began accusing him of minor infractions which can later serve as grounds for transferring him to a stricter colony, potentially sending him even further away from home. Some of these infractions are completely invented while others are due to the colony’s own improper conditions. For example, there is only one refrigerator for his entire brigade of over 100 people, so everyone, like Evgeny, just stores food in plastic bags in a storage room. The practice of piling up such official warnings is a well-known practice in Russian prisons, used against inconvenient convicts in order to portray them as delinquent and punish them in an isolation ward or transfer them to a different prison. Evgeny has already been threatened with a transfer to a stricter prison by the administration. Evgeny has complained repeatedly about violations in the colony, such as work conditions and work hours. Convicts do agricultural work from 7 a.m. to 8 p.m. with no drinking water or gloves, for example. After the mass beating Evgeny witnessed in May, nobody was held responsible, while convicts who were victims have been quietly transferred or forced to deny in writing that the beating occurred. 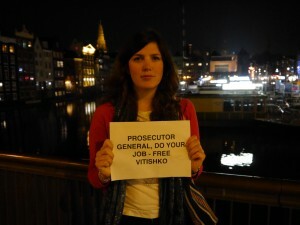 Colony officials are creating atmosphere of enmity between Vitishko and other inmates. 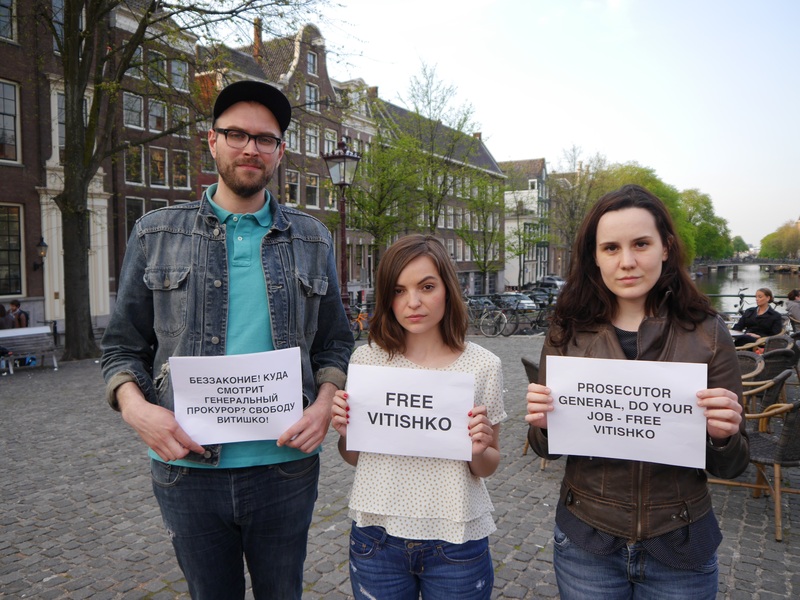 Punishing Vitishko for his public condemnation of a mass beating of Vitishko’s inmates, officials of the penal colony switched off public telephones, thus prohibiting inmates from calling. Two officials were telling inmates that ‘Vitishko broke phones by his tongue’ (meaning that Vitishko should not talk about the accident of a mass beating). Also, some inmates of the penal colony were not allowed to go to the store. These punishing actions are directed on creation the atmosphere of enmity between Vitishko and other inmates. Vitishko helps inmates in drafting various appeals and complaints, though, and is actively involved n a human Riggs work related to the penal colony issues. 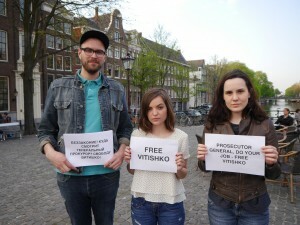 Vitishko condemned publicly the fact of a mass beating that took place in May. Vitishko calls upon human rights groups to investigate the case. International non-governmental organizations Front Line Defenders, Human Rights Watch and Amnesty International are following the case of Evgeny Vitishko and support him! Randall Arauz, a head of Costa Rican marine conservation organization, and Jonathan Deal, environmentalist from South Africa, ask Russian authorities for immediate release of Evgeny Vitishko. Thank you so much for your letters of support and interest in my case! The fact that so many people agree that developing a country is impossible without developing democracy in all spheres of life fills me with hope that sooner or later the existence of dissenting views and opinions will be considered a norm, while people will choose which information to trust themselves, despite an information vacuum and the invisibility of those who think differently. So many young people love their country and set as a goal to change the existing system and eliminate lawlessness, and that brings hope. Only by combining our efforts directed at the attainment of justice and respect of the Constitution and the laws can we change our present and the future that awaits both ourselves and our children. Russia will be free, but the country’s freedom depends on the degree of freedom of each of its citizens. There are many more things that I would like to say, to respond to everyone individually, however the place where I currently am does not permit me a response to each letter, therefore I am addressing you in this way. Thank you very much again and we will meet soon. 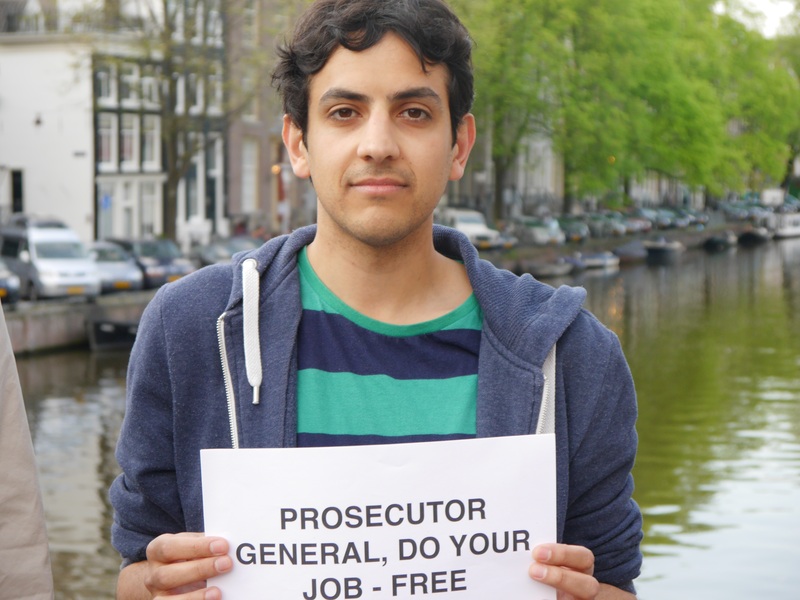 Thanks to Amnesty International activists in the Netherlands! 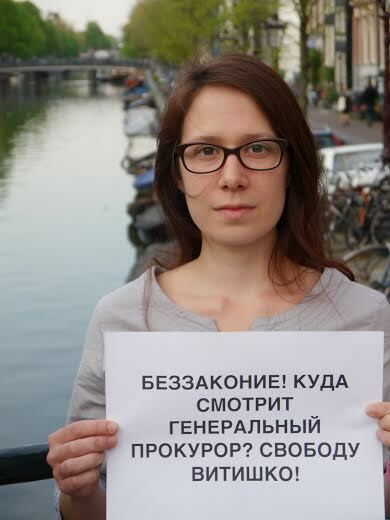 Evgeny met Greenpeace Russia and Evgenia Chirikova! On May 7, 2014, Evgeny eventually met Greenpeace Russia and Evgenia Chirikova after denial in meeting on the day before. Evgeny is in a good spirit, even though he works all day long and lives with 140 people, all in the same room. His first salary Evgeny transferred to Russian orphan’s home. Greenpeace Russia brought 400 letters and Evgeny was incredibly happy and promised to respond everyone. You can send Evgeny a letter or just write it on Greenpeace’s web-site. He will be very happy to hear from you!